I’ve had problems with my knees for as long as I can remember – even before I grew old and decrepit. So these are the problems – as best as I can remember my sports physician explaining them to me. 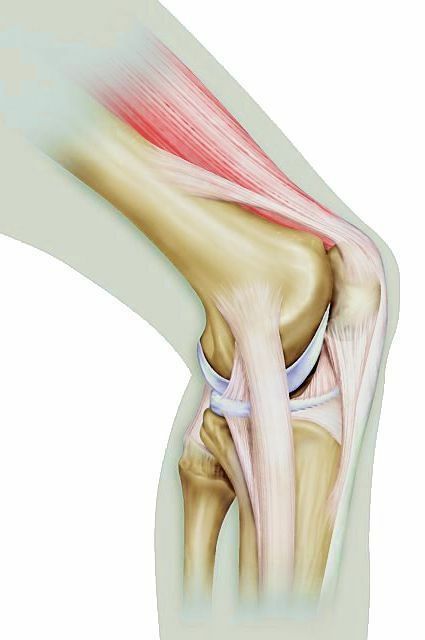 The first problem began in my right knee and it was due to a bad ankle sprain that I never rehabilitated properly. As a result, the ligaments around the ankle are loose, leaving me with an unstable ankle. My right knee had been compensating for this weak ankle ever since and eventually, it started to hurt even though there was no injury to it. The second problem is apparently a common woman’s problem. It’s due to the fact that our hips are set wider than our knees, moving the center of gravity to a point outside our knees. Add to that fact that three of our quadriceps muscles pull the knee out of alignment, especially when they are not balanced by the weaker vastus medialis muscle. Most of the activities we commonly do, build the outer three muscles, which worsens this imbalance. My sports physician set me several exercises to help me resolve the knee problem and they worked. Then I got lazy and I stopped doing them even though he told me that I should continue to do them for the rest of my life if I wanted to avoid pain in future. Yeah, well, I was young and the young believe they’re invulnerable. The next problem with my knee arose when I took a big leader fall while rock climbing outdoors. I, or rather my knee, slammed into a stalactite that was sticking out of the wall. It was so bad that I couldn’t go rock climbing for a month. It took even longer before the pain went away completely. Now that I have been working out again so vigorously, the pain has returned. My knees are taking it in turns to feel tender, tight, and weak. I notice it especially when I have to do single leg movements on the reformer in pilates. One leg struggles a lot harder than the other. I also find it difficult to squat without assistance from my hands – neither can I do the Vietnamese squat for very long or I might get stuck in that position. 10 to 15 reps on each leg; hold at the top for 3-5 seconds. Hold each rep for 5-10 seconds, extending the time for longer. 3 sets of 10 to 15 reps. When it gets easy, lift one foot off the floor. 10 to 15 times for each leg. Increase the height of the step when it gets too easy. 10 to 15 times for each leg. This is the machine you use at the gym, but if you don’t have access to a gym with a leg press, you can use the following exercise as an alternative. 3 sets of 10 to 15 reps.